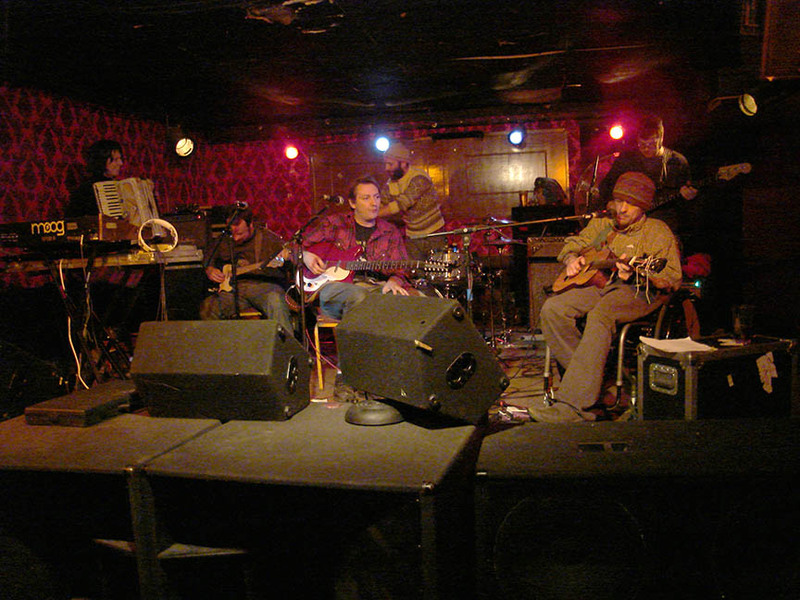 Vic Chesnutt and the Amorphous Strums performing live at the Jackpot Saloon in Lawrence, KS in 2008. 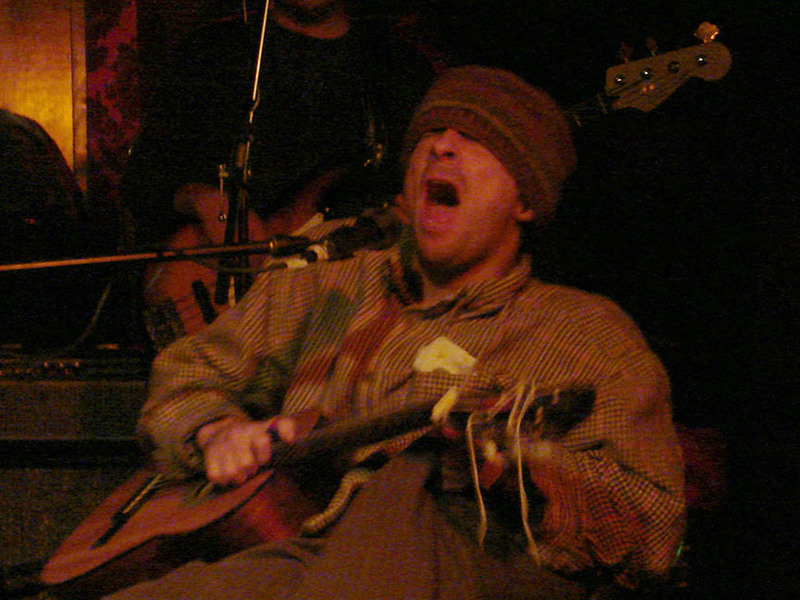 Vic Chesnutt is criminally under-rated among music buyers. He is well respected among musician I believe. He has long been backed by REM’s Michael Stipe and several other musicians. His records are really hard to find. He has released somewhere along the lines of 15 full length records since 1990 counting his records as Brute. He took his own life on Christmas Eve/Christmas in 2009. He had been a paraplegic since the early 1980’s, before he ever released a record. He was always a tortured soul, you can hear it in his music. Much of his music is dark and brooding. 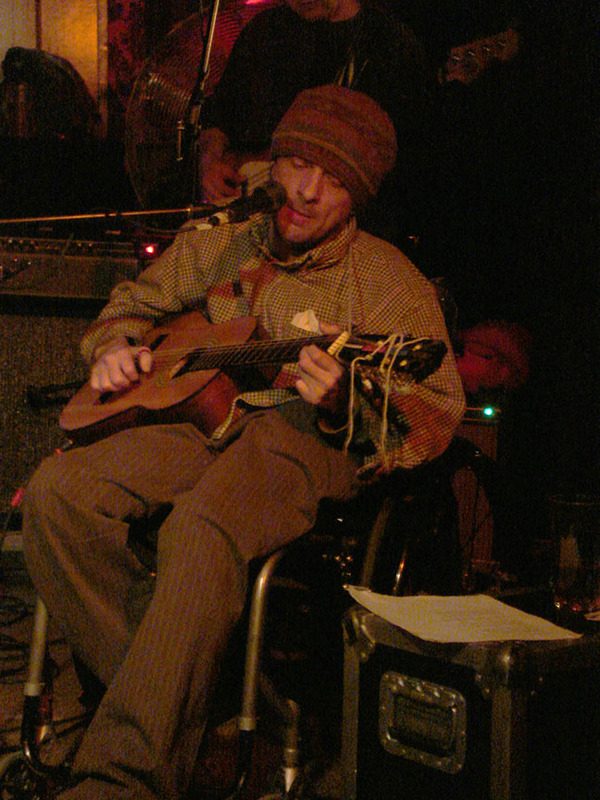 I have had the pleasure of seeing Mr. Chesnutt live twice. Once in Omaha and once in Lawrence, Kansas. To see him perform his songs is really an emotional experience. It is hard to imagine someone who would evoke so much emotion from performing live songs. It is all in the songs; anger, happiness, sadness, depression…it is all in the songs. My favorite of the two times I saw him perform live was at the Jackpot Saloon in Lawrence, Kansas. 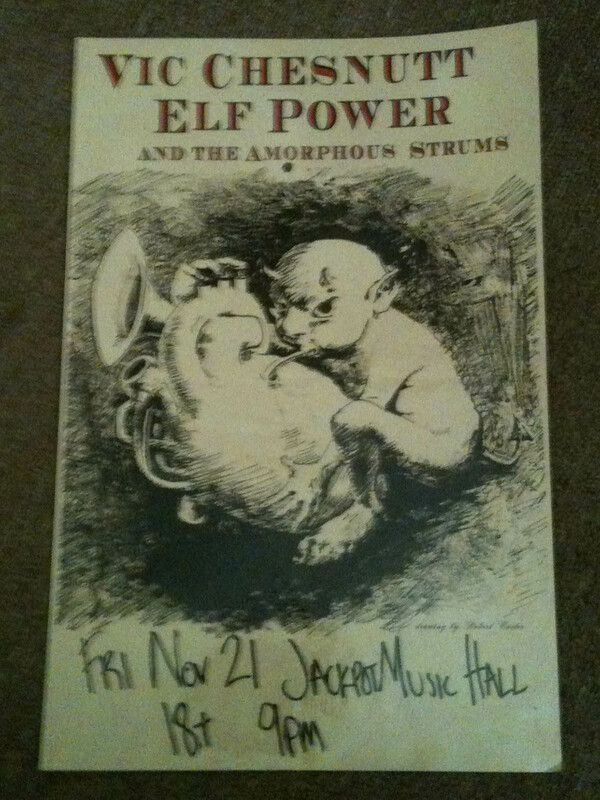 He was touring with the band Elf Power who served as his backing band both at the show and on the record he was promoting. The record is Dark Developments credited to Vic Chesnutt, Elf Power and the Amorphous Strums. They performed eight of the nine songs on that record that evening plus I believe it was two additional solo Vic songs. I got some great pictures of Vic performing that night. I don’t get many really good pictures at concerts because, while I like to take pictures at shows, I don’t like to use a flash and annoy the performers. The lighting was good that night, bright enough to take pictures but not so bright that the people were just white blobs. As far as Vic’s records go, I think “Drunk” is likely his most noteworthy record. I personally like “West of Rome” better but they are both classic records. These two records made up most of the tribute album “Sweet Relief” that had a ton of great artists covering Vic’s songs. These performers included: REM, Garbage, Cracker, Sparklehorse and Live. Also excellent in my opinion is a later record from his catalog, “North Star Deserter.” I would recommend checking it out if you get a chance as well. I can honestly say that when Vic died back in 2009, it was the first time I had ever felt any emotion toward a “celebrity” when they passed away. I always thought it was a matter of time before Vic died, he had previous suicide attempts and even wrote a great song about it on his last record called “Flirted With You All My Life,” In my opinion I think that is the best song from his entire brilliant career. There you go, now listen to Vic Chesnutt. This entry was posted in Concert Review, Listen To.... Bookmark the permalink.